Arms Acres offers dynamic, diverse. fitness and expressive art therapy programs. The Arms Acres philosophy is “everybody is capable of change and with change comes improvement.” Through the use of fitness, outdoor and expressive activities, patients are given an opportunity to learn new activities and coping skills and more importantly they can use these activities to maintain a sober and healthy lifestyle in the future. 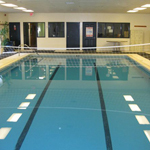 Our program offers a wide range of activities ranging from volleyball, swimming and art therapy to exercise and weight lifting. Patients can participate in our personal challenge programs. The fitness, strength and conditioning program starts with a personal assessment of push-ups, sit-ups, pull-ups and 5 minutes on the stationary bike to test cardiovascular conditioning. With the assistance of the fitness staff, participants are given a routine to help them reach their fitness goals. Patients are then retested in their last week to see what improvements the individual has made. Each participant receives a certificate at the completion of the program. Arms Acres also offers a structured art expression program that is incorporated into the daily program of recovery. We feel that freedom of expression in an art group can help patients connect with their inner selves. It also inspires an awakening of the spirit and senses. This program adds diversity to the therapeutic process of healing.